"Wilds Lodge are so proud to receive the creativity award. We are delighted that our belief and passion about the creative therapies in education has been shared. We are driven by creativity and the positive impact of the arts on the emotional well being of our pupils. 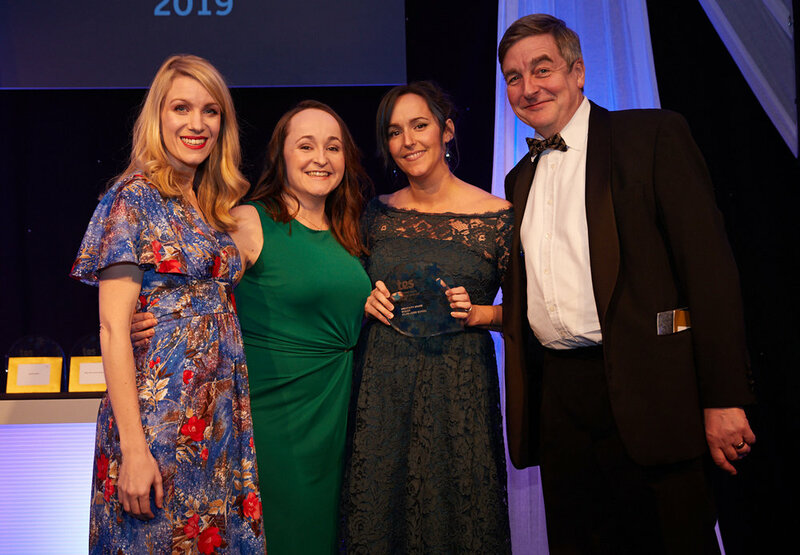 It is exciting to think that winning this award could inspire other educational settings to access the arts therapies and introduce alternative ways of healthy expression and positive mental health." We have received the Woodland Trust Platinum Award. This week KS2 celebrated receiving the Platinum Woodland Trust Award. 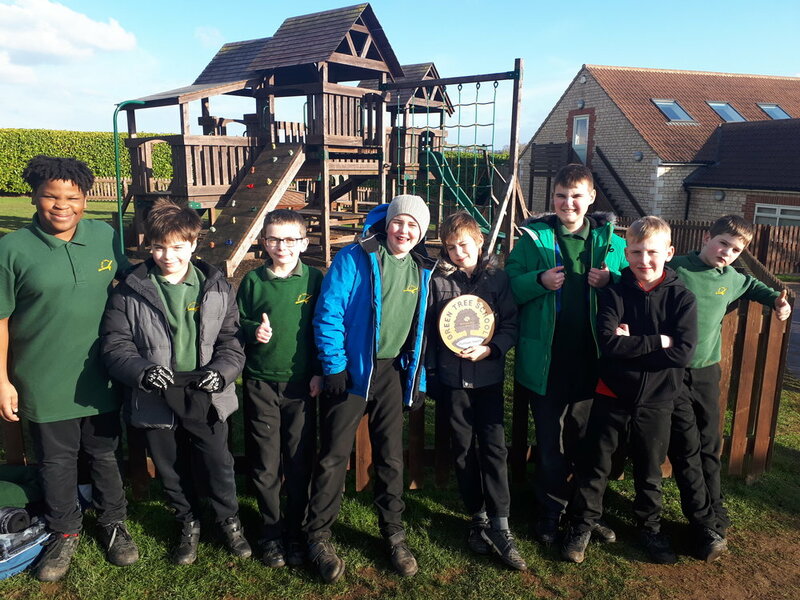 Over the last few months they have worked really hard to complete activities promoting the outdoor environment, and protecting woodland areas. They've visited Fineshades woods and recreated their own nature trail of this; They took part in a tree dressing activity, and they have learnt how to look after woodland areas. 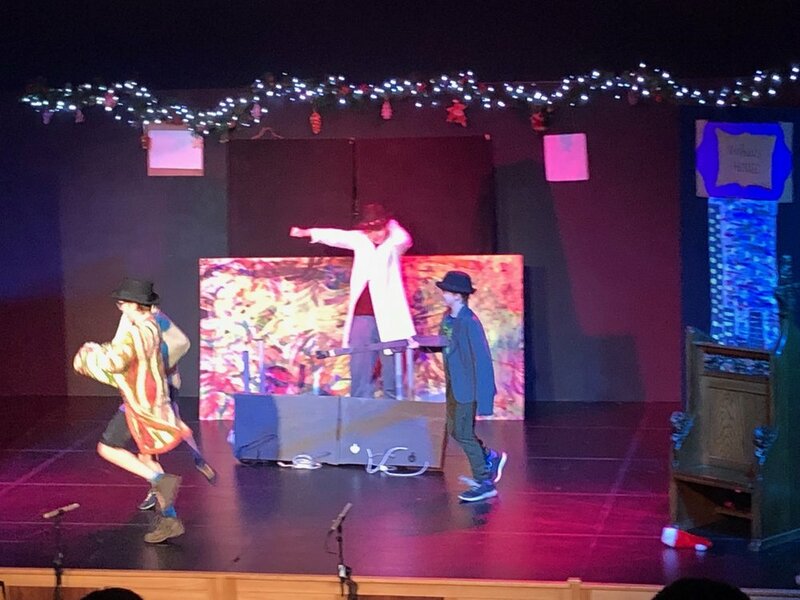 The staff performed a fantastic version of Scrooge on the last day of term this year. 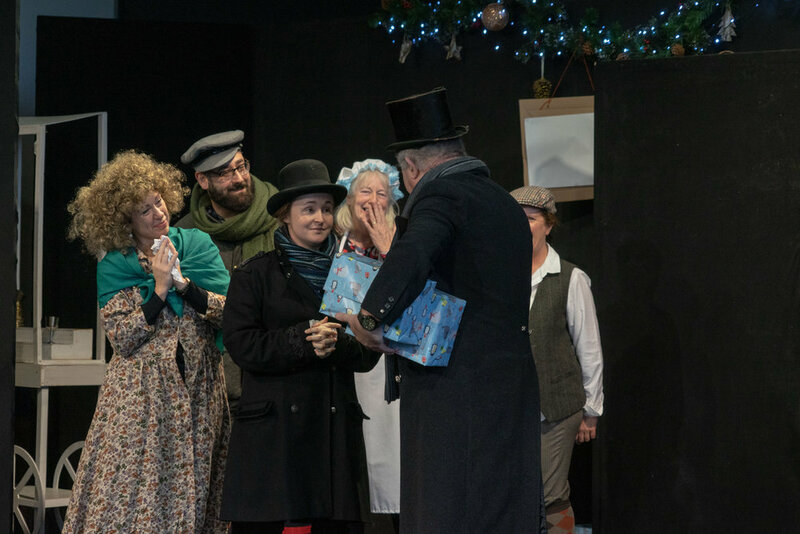 Everyone had a lovely time watching the play and it really did feel incredibly festive. What a fabulous resource the theatre has been over the past year. It has hosted so many different events since we opened last January from Space days, Mathletics, World Book Day, the Read-a-thon, LGBT+ event and all the amazing plays and the 360 display with trampolines, gymnastics and scooter displays to lights and music. A great effort from everybody. A fun filled, fabulous evening. 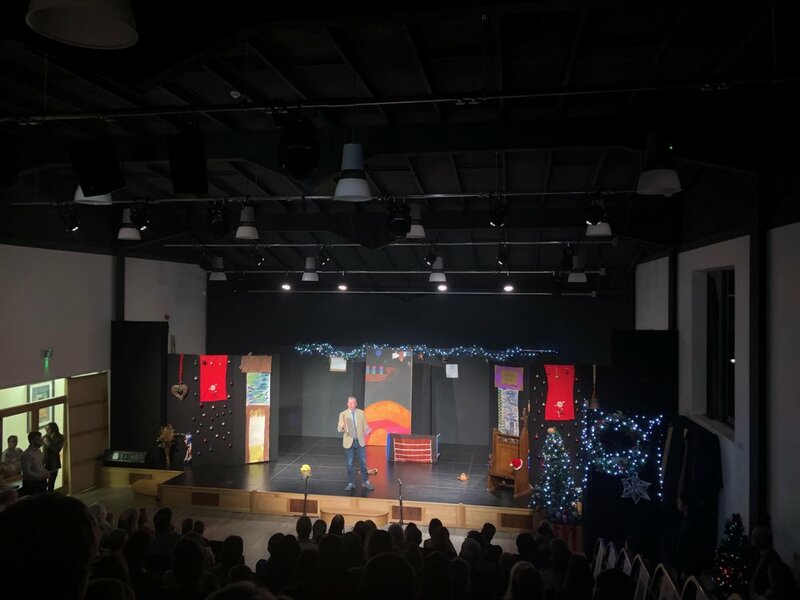 Last night we welcomed students, staff, parents, carers, family and friends to our first Christmas evening of entertainment. It was lovely to be able to showcase all the shows that the students have put together and to celebrate their success together. From funny to heartfelt we had it all on that stage through the evening. Home made mince pies and gingerbread made the interval especially attractive, thank you for all the lovely refreshments to the staff and students that were baking away all day. In the background, quietly working hard were the lighting, sound and backstage crew. They did a great job, seamlessly transitioning between each show and making sure that everything ran smoothly. Thank you to everyone that planned, took part and visited us for a very special evening. We raised almost £100 for a local charity that we work with as well with the popular raffle. I am sure the team at Second Helpings will be very happy. National Nurturing School Award success! This week we have had our assessment from NurtureUK and we can now share that we have been awarded the National Nurturing School Award. Claire who did the assessment wrote this letter to the students on the Nurture Committee. I didn't get chance to see you again before I left yesterday so I wanted to send you a message to say thank you very much for all the help you gave me yesterday. You made me feel so welcomed and at ease in your lovely school from my delicious continental breakfast (great idea!) til the minute I left, feeling very happy and inspired by what I saw. You gave a brilliant assembly- very confident and showed me that you understand the 6 principles so well. I was impressed by the way you adapted them to make them more flexible and I know they have helped you and your teachers make your school the wonderful place it is. In particular I liked it when we were on the bus as we had a lovely chat there because we all felt so relaxed and safe there. I know you are very happy in school because you told me you felt safe and valued and this is something very important for me to hear. I think you are very lucky to have such a nice place to learn with such great teachers who understand you and make sure you get everything you need to be the best you can at whatever stage you are comfortable at. Your teachers are very proud of you and so they should be. I hope you are proud of yourselves too. Thank you all for making my day so memorable. Superheroes will undertake the Inter Form challenge today. Inter Form will start with a new look today. Pupils from the school council held a vote across the school to choose a theme for team names. The consensus was superheroes. The names of the four new teams are now: Silver Surfers, Daredevils, The Wolverines and The Green Lanterns. Please have a look at our Facebook site where we will post the photos from today. What an amazing music festival we have had this year. We had even more schools from Rutland and beyond and even the rain could not dampen their spirits. Glitter was everywhere and the sparkle of the day will last a long time! 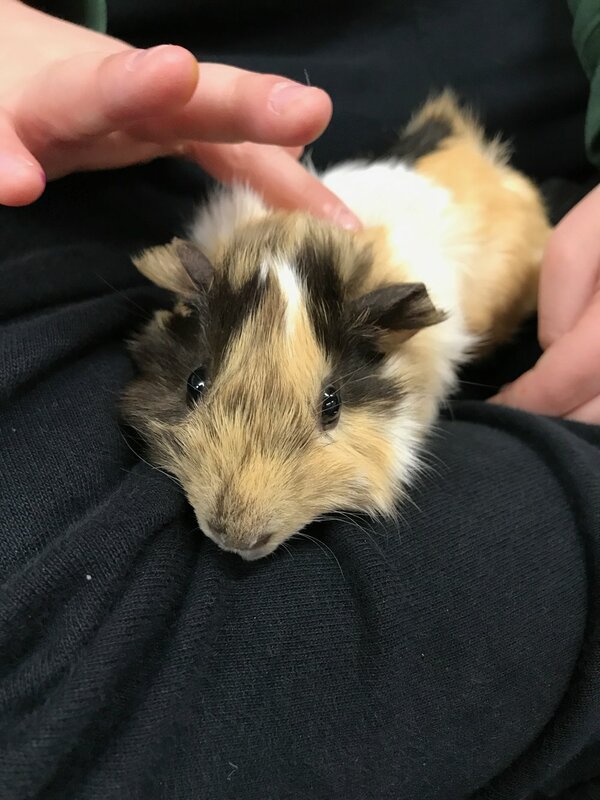 Our new nurture babies, Ron, Ralph and Hugh! 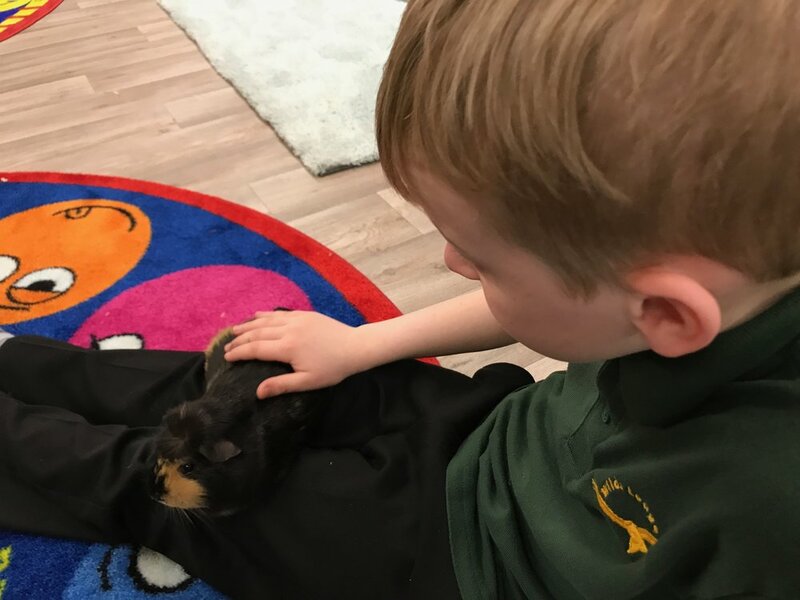 The boys are so excited to have some cute little guinea pigs to look after and to cuddle in the nurture group.